Video marketing is hardly new, but the last year has been bonkers. Courtesy of Google’s Video Ad Services, there has been an increase in video ads across social media networks — especially on Facebook and Instagram. One piece of research indicated that YouTube brand engagement was 20x greater than Facebook engagement. That is significant! Moreover, micro-video sites like Vine and Snapchat demonstrated just how creative marketers can be. To improve conversions, clever marketers began repurposing their blogs and other content into short, hard-hitting videos. The results are clear: Video marketing translates to sales. According to a Brafton study, 44 percent of consumers said viewing a video encouraged them to convert, and Ice.com claims they saw a 400% increase in conversions when customers viewed video! 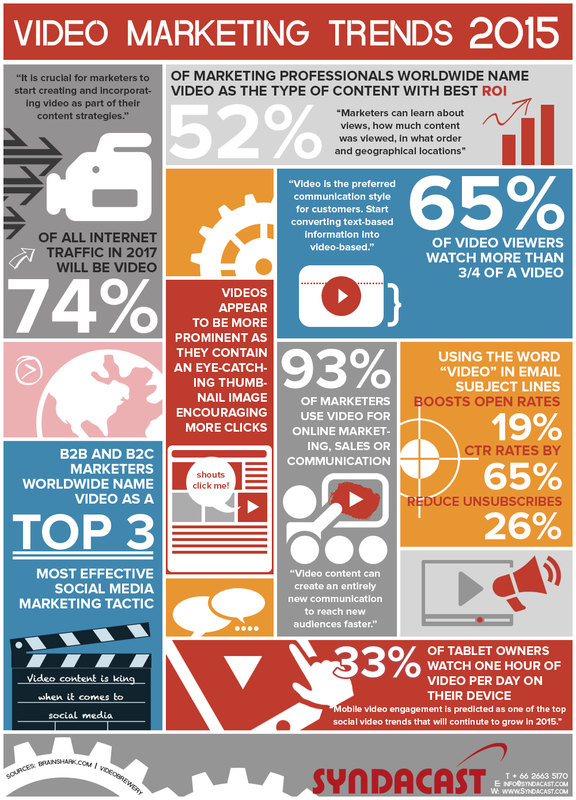 Last year, six percent more marketers used video than social media, which is truly a testament to video’s popularity! Just this month, Google announced a new analytic tool that will tell advertisers if their videos have been viewed. By some estimates, 74 percent of all internet traffic will be video by 2017. Terry, I could not agree more with this post. We have seen some extraordinary conversion and awareness numbers when using YouTube’s TrueView ad unit. I often point people to a study done by Convertro/AOL that shows YouTube to be the best social platform for both awareness and conversion – both top and bottom of the funnel, by orders of magnitude vs other major social platforms (http://www.mediapost.com/publications/article/234372/youtube-leads-in-sales-conversions.html). I dont think online video should necessarily replace other mediums altogether, but it has definitely earned its place on the media plan. Good morning, and a hearty THANK YOU, Dave! Very observant thoughts on what we both know, as it pertains to video. We also agree that other ‘more traditional’ forms of marketing shouldn’t be abandoned…we’re both ‘old school’ like that! Thanks again!